Our riding of Vancouver-Fraserview is a large and diverse area on Vancouver’s sunny south-eastern slope. 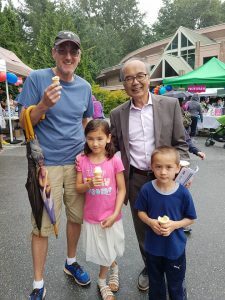 Residents value its established single-family neighbourhoods, the newer communities of Champlain Heights and Fraserlands, and the busy commercial areas that provide convenient local shopping. The area’s two community centres and many parks are heavily used by residents. Many of our neighbourhoods have unique local identities and a strong sense of community. Making education more affordable for families is a key focus of Education Savings Week. British Columbians are encouraged to sign up for a $1,200 grant for their children’s post-secondary education and training.